AEM 21-8408DP - AEM Brute Force Air Intakes - FREE SHIPPING! Nice set up but the filter that came with it was a K&N filter and doesnt look like the filter in the picture. If i wanted a K&N i wouldve gotten it. Filter was hard to put on kept slipping off when i tightened it. Cant really say about mpg and horsepower due to flowmasters installed but the sound makes the truck sounds mean when you hit the gas hard. There is a slight whistle sound. Other than that sounds and looks good. First off, I'm a novice mechanic and this was a very easy install along w/ a Volant Vortice Throttle Body Spacer, $35, 1 hour install, looks good and sounds even better. My first outing was a 3 hour drive over Stevens Pass, this is where I really noticed the better performance. Normally climbing the last 10 miles, I really need to put my foot into the pedal, but this time I didn't, it just roared to the top. I also like the throaty growl on my 07 Tundra with 35K mile. 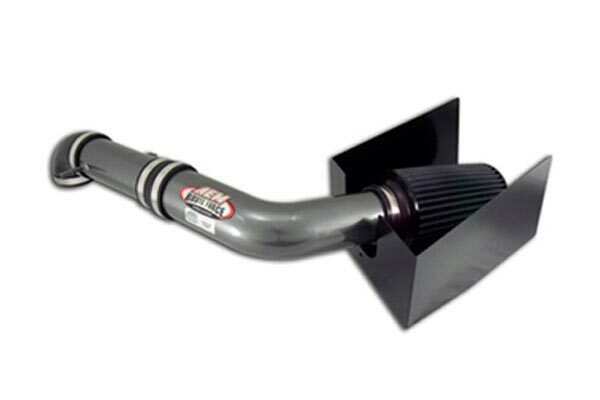 This intake not only looks good it sounds good, gives my already agresive sounding truck even more growl, a nice deep tone when you press the accelerator and it defenetly pulls harder too. I would Def buy this product again. Increased Throttle Response And Overall Power. 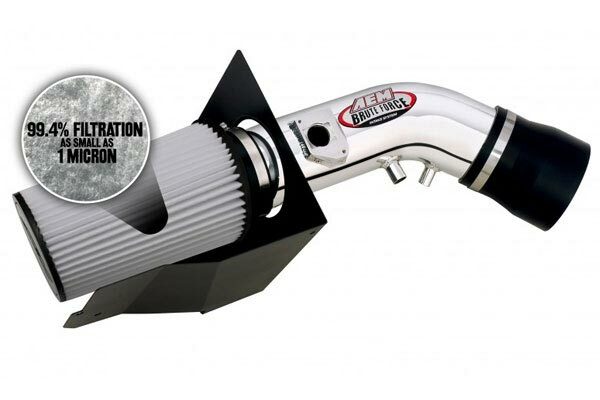 Up 2-3 Mpg With FlowMaster Outlaw Exhaust. It Pays For Itself. This was a very easy install, took me about 45min. I have installed CAI's before. it looks nice once installed, and sounds great!!!. I gave quality a 4 star because one of the hose clamps was the wrong size( brought correct size)Now I need to take my foot of gas pedal(like the sound of the CAI) so I get better gas millage. Very easy to instal.Very easy instruction to follow.Makes my 2013 Tundra sound and run great. Nice addition and awesome sound! Installation is simple, nice power upgrade and performance. 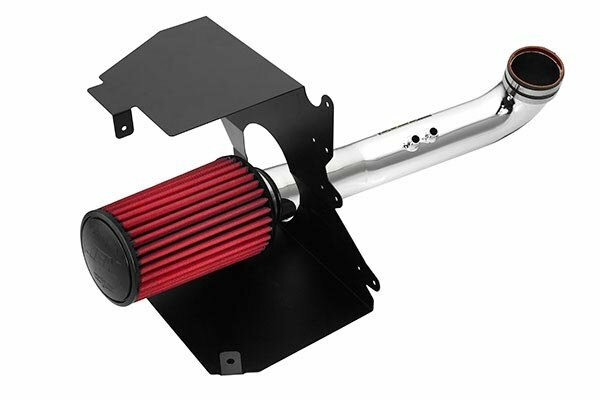 This intake is great. It's a little loud under hard acceleration but I like the sound. I personally do not know anything about vehicles and especially on how to put things together, but the instructions were simple and now my truck sounds great and i have gain 2 to 3 mpg's. Doesnt sound like much but you notice the difference. I was expecting more sound difference when i turned my truck on, but thats ok because when you press on the gas the difference in sound is amazing. Overall, great buy, easy install and looks and sounds great. If you have a problem with the instructions there is a video on youtube that shows you exactly how to do it for tundra owners. Enjoy. I love this product! it looks great and it really gives a throatty sound to my tundra. I noticed the increase in MPG and also my Tundra's acceleration is much quicker. The paper that comes with it says that it should boost up your truck as much as 6 horsepower, but that is an understatement because you can reall feel the power! The only thing that kinda makes iffy about this intake is that when i really do punch it is seems like it has trouble shifting gears around the 3 or 4th. Other than that this intake has been great! I recommend this to everyone!!! AutoAnything is great.Great price.I ordered this intake kit on a Wednesday afternoon and had it Friday morning.It took me about 45 minutes to install.A few things to know though.The dyno sheet that came with the kit says it adds about 6 horsepower.The only negative is that the engine cover does not clip all the way back down but I have not heard any noise from that so far.This kit really helped add to the performance of my truck along with the stainless cat back exhaust I installed a few weeks prior.My gas mileage has improved also. The AEM air intake is great. 2nd product I've bought from autoanything and again fast shipping, great product, easy install. Already have flowmaster dual exhaust and with the addition of the AEM intake the truck sounds AMAZING. Low end torque you can feel a little difference, haven't noticed much in gas mileage but it's hard when you just want to keep romping on the gas pedal to hear the sound this thing makes. Will continue to purchase from AA and have referred many friends already. The unit is awesome I get also most 2 MPG more for my gas and little more HP you can notice the different. Well packed for shipping, arrived quickly, great quality, easy to install in half hour, awesome sound - the only issue was with the plastic engine cover on my Toyota Tundra not able to clip back on one side because the intake tube sits a little high into it. Intake looks great and the installations was easy if u follow the instructions exact. Would recommend this to anybody. Very pleased with your company and your well informed team of people. He assisted me professionally and concisely. Had answers for all my questions. I will buy from you all again. Thanks again. D.J. 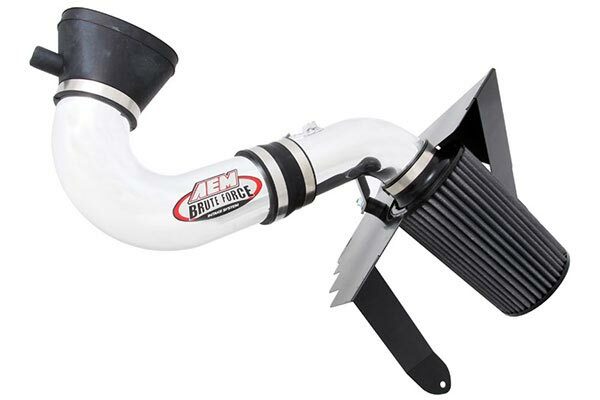 This AEM Dryflow Air Intake is the second AEM Intake I have purchased from you. This one is for my 2010 Tundra, the previous one was for my 2005 Titan. Both Intakes have operated flawlessly and fulfilled all my expectations. The quality and appearance are both excellent. I highly recommend this product. Reference # 755-289-128 © 2000-2019 AutoAnything, Inc.